This is a trademark logo idea I came up with for Creative Commons property. 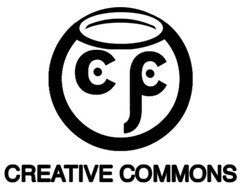 Creative Commons licensed media encourages open minds and open eyes. Using the current logo, I turned the C.C. into a wide-eyed observer of the web and all the content it has to offer.